The Mobile Food Truck from the Houston Food Bank will be in town this Saturday, December 6! Kick off the holiday season by serving those in our community who are less fortunate. 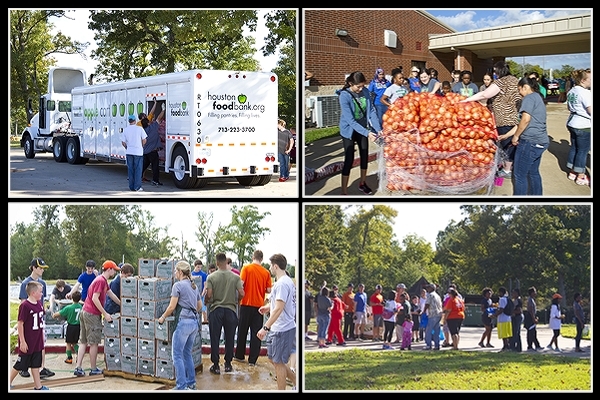 Being a part of something as vital as feeding neighbors is rewarding in many ways. 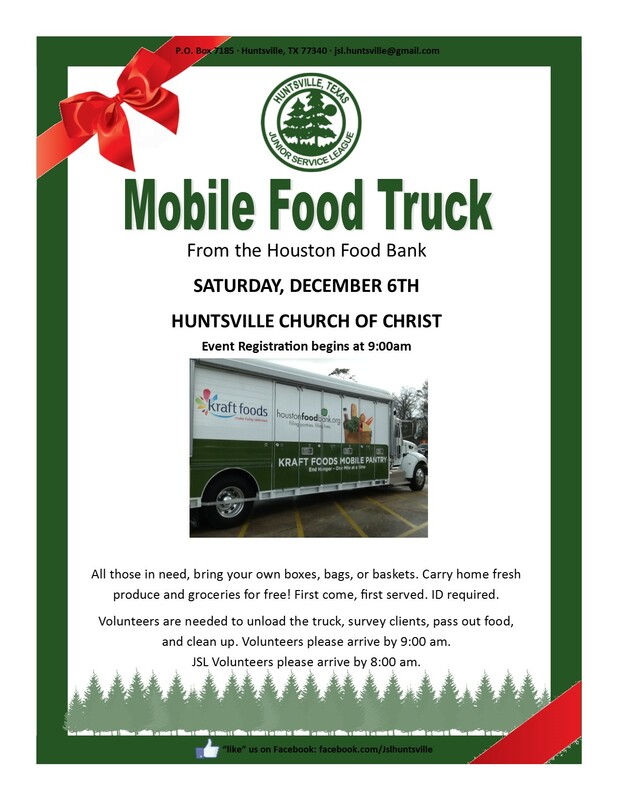 Come join Huntsville JSL and our partner, Huntsville Church of Christ, in banning together to be a community that reaches out with a helping hand. Registration begins at 9:00am at Huntsville Church of Christ on this Saturday, December 6. The food truck should arrive between 9:30-10:00am. The food distribution will begin as soon as the truck is unloaded. JSL volunteers will prepare for the day beginning at 8:00am. Community volunteers should arrive at 9:00am.